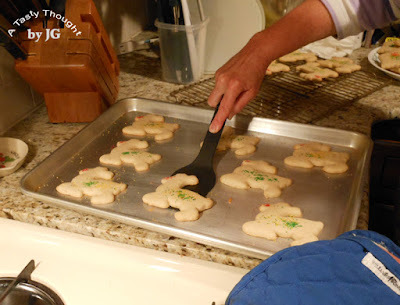 A Tasty Thought by JG: Best Sour Cream Sugar Cookies! 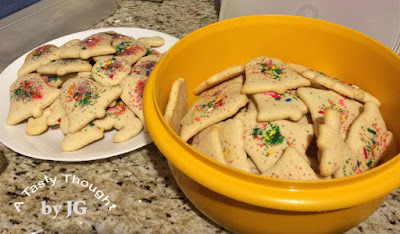 Best Sour Cream Sugar Cookies! It's cookie time!!! 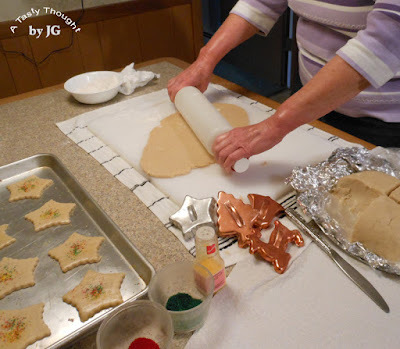 I'm talking about cookies that are baked for special occasions! The ones that your family members/ friends will just love! After taking the first bite of this soft rolled out cookie, suddenly it's gone. The flavor of Nutmeg is a pleasant surprise. Imagine your cookie canister filled with these yummy cookies of different shapes and they're topped with colorful sprinkles. They are light, too. Sour Cream is another ingredient. (I use Light Sour Cream.) These Best Sour Cream Sugar Cookies are made in a 2 step process. Get ready to bake a batch! 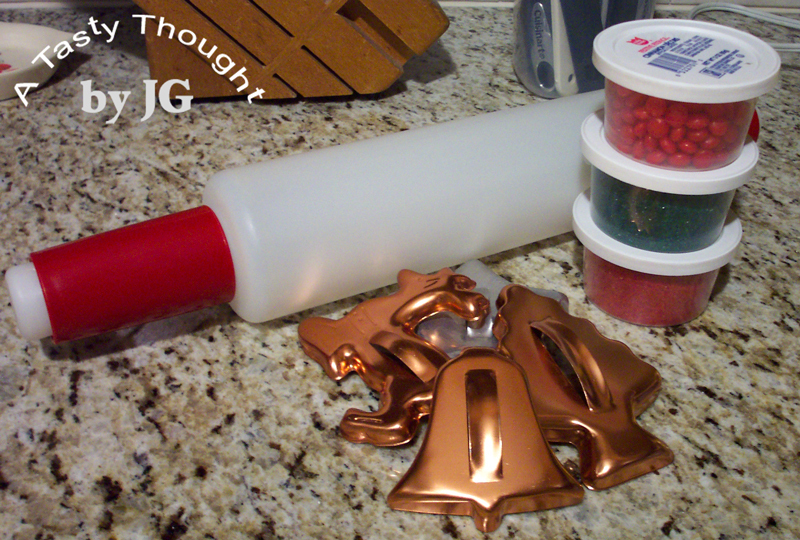 Find your rolling pin, cookie cutters & colorful sprinkles! These are the best ever! ***Hint- Butter is the ingredient that I use here, not Margarine. I've found the dough to be difficult to roll out when I've used Margarine. On Day 1- The dough is prepared. Then, it's refrigerated. I always wrap the mound of dough in plastic wrap. Then wrap it a second time- the second time in aluminum foil. Into the fridge it goes. On Day 2- Find your holiday cookie cutters, colorful sprinkles, rolling pin & rolling mat. It's baking day! Dough wrapped in plastic wrap, then aluminum foil. 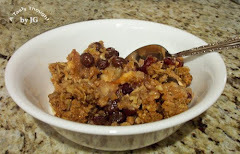 A week before Christmas I bake a batch of these family favorites. After cooling, they are packed in Ziploc Freezer Bags & stored in the freezer. These Sour Cream Sugar Cookies freeze very well! I always bake them before Christmas, package in Ziploc Freezer Bags & freeze these yummy decorated treats. Go to your grocery list & add Sour Cream & Butter to it! These are the best rolled out sugar cookies- ever!!! Looks delicious, Judy! It's hard to beat sugar cookies this time of year! Merry Christmas to you and yours! Pam- Sugar Cookies are just the best!